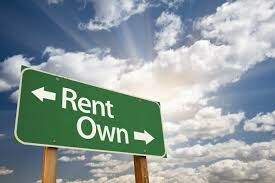 Buying or Renting – Why it is Better to Buy! With low interest rates holding steady, buying a house right now is less expensive than renting in most places. Now is a great time to lock into a rate. You can do what you want with your property. Making home improvements will be your choice…from colors to paint the walls to light fixtures to types of floors, you won’t need permission from a landlord to make changes. Tax benefits. Tax deductions are a great perk of home ownership. Forced savings. Renting might seem less expensive, but would you actually save the money you don’t spend on rent? Since your mortgage payments are building equity in your own home, which you can later sell for profit, it’s like a forced savings. Using a “rent vs buy” calculator on Zillow you can see how buying is a better option right here in Huntsville. For example, after 2 years, the cost of homeownership (down payment, mortgage, taxes, etc.) for a $150,000 home in Huntsville would be $63,942. The total cost to rent the same house for that period would be $29,361. Renting would leave you with $34,581 in your pocket (including the money you didn’t spend on a down payment). So, it looks like renting would be better financially, right? But wait…not so fast. Let’s look at what you gain over the same 2-year period if you buy. After 2 years, your home will have $49,682 in equity. However, if you instead rent and invest your down payment and the other money you save at a 6% return rate, it will earn around $3,558 in 2 years. So, if you look at your gross costs, equity and investment potential, it’s better for you to buy than rent if you plan to live in your home more than 2 years and 5 months. The bottom line is, if you’ve been thinking about buying a home in the Huntsville area, don’t wait! Start investing your money in your own home vs that of a landlord today! Contact Mike Manosky at HuntsvilleRealEstateOnline.com and let him help you find your dream house!